The EU's Foreign Affairs branch claims to Member States and the European Parliament that the Western Sahara liberation movement does not want to meet to discuss a new EU-Moroccan fisheries agreement in Western Sahara. Polisario uttered its deep frustration over this misrepresentation in a letter to the EEAS. A meeting that was afterward dishonestly described as a "consultation exercise", a sudden, undetailed request to meet in two days' notice, and a request to meet after an agreement on Western Sahara had already been initialed with Morocco, in order to explain how beneficial it would be. What does the EEAS aim to achieve when reaching out in this way to the Saharawi representation? That is the crux of a recent letter from Polisario to the EEAS, of which WSRW has received a copy today. In recent weeks, Vincent Piket - head of the Maghreb Division in the EEAS (the EU's Foreign Affairs Department) - has stated on several occasions that the Front Polisario (the UN recognised representation of the people of Western Sahara) did not respond to his request to take part in a consultation round on the proposed inclusion of occupied Western Sahara in the EU-Morocco Fisheries Agreement and Protocol. 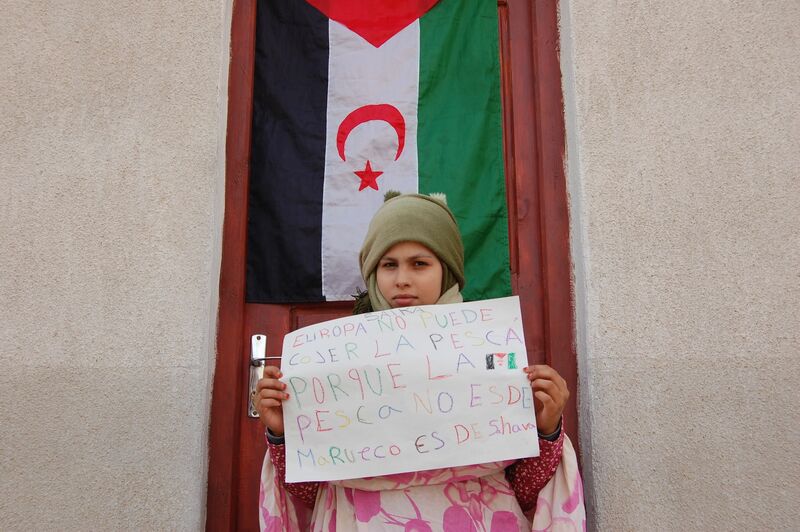 After the EU Court of Justice had concluded in February 2018 that it was a violation of international law, specifically the right to self-determination, to apply the EU-Morocco Fisheries Agreement to Western Sahara, the EU Commission negotiated a new Agreement with Morocco. Without involving the people of Western Sahara in those talks, the Commission and Morocco initialed a new fish deal that would explicitly apply to Western Sahara in July 2018. The EEAS now claims to the European Parliament and EU Member States that it has reached out to Polisario several times, and that they did not respond. A letter sent on 21 November 2018 by Front Polisario's EU representative Mohamed Sidati to Vincent Piket clarifies why Polisario did not meet the EEAS regarding said agreement, and also shows that Mr Piket is not providing the EU Council and Parliament with a full account on the matter. The letter chronicles Polisario's attempts to remain in dialogue with the EEAS. "Shortly after the 2016 and 2018 Decisions, the Frente POLISARIO contacted the Council to enter, in conformity with the Court decisions, into negotiations that would allow the conclusion of an agreement with the European Union for the development of the Territory, with the prospect of signing an agreement with a National Liberation Movement as was the case with the PLO. We did not receive any response", the letter begins. Subsequently, a meeting that took place in February 2018 at the initiative of Polisario was hi-jacked by the EEAS to make it look as if Polisario had taken part in their consultation exercise on the proposal to extend the EU-Morocco trade deal into Western Sahara. WSRW on 14 June 2018 revealed the communication between Polisario and the EEAS, showing that the EEAS had not mentioned its consultation agenda at all. When in June 2018, the EEAS proposed to meet Polisario on the fish file in two days' notice, Polisario replied that this was very short notice and asked for more time. No response came from the EEAS. After already having initialed a new Fisheries Agreement with Morocco in July 2018, the EEAS invited Polisario to a meeting so they could present the main points of said agreement and how beneficial it would be to Western Sahara. Read the full letter below (or download it here). It has often come to my knowledge recently that, on several occasions, you have questioned the Frente POLISARIO for not responding to your invitations. Shortly after the 2016 and 2018 Decisions, the Frente POLISARIO contacted the Council to enter, in conformity with the Court decisions, into negotiations that would allow the conclusion of an agreement with the European Union for the development of the Territory, with the prospect of signing an agreement with a National Liberation Movement as was the case with the PLO. We did not receive any response, which made it clear to us that we were moving towards the circumvention of the Court decisions. In so far as the only question at stake was the respect for the consent of the People of Western Sahara, the refusal of the European authorities to answer our request was abundantly revealing. We could have stopped there. However, out of our genuine commitment to dialogue, the Frente POLISARIO once again requested a meeting with the Commission. During this meeting, which took place on 5 February 2018 and in which you participated, we expressed clearly our concerns. This being a unique opportunity, we explained our understanding of the law and reiterated our readiness for negotiations to express the consent of the Frente POLISARIO on behalf of the People of Western Sahara as well as our refusal to be consulted on the “benefit of the populations”. However, we were very surprised to see, in a document issued by the Commission, the name of our Movement in a list of NGOs that were "consulted" about "the expected benefits for the populations". It was then on 4 June 2018, on the eve of the transmission of its report to the European Parliament proposing to extend the EU-Morocco agreements to the Territory of Western Sahara that the Commission requested to meet with us between 6 and 8 June. The proposed deadline seemed very short, especially given the lack of elaboration. With only very partial information, we responded by asking for more time and underlining that we were in a dialogue and that we could not accept any approach that would reverse the four principles identified by the European Union Court of Justice. Our position was clear; there will be no future outside the framework defined by the law. We also stated in our letter that "a consultation meeting should be based on an agenda, rather than a mere desire for information". To date, we have not received any response. It was only after the initialing of the fisheries agreement by the EU and Morocco that the Commission sent us two requests for meeting in August and September stating that it intended to present to us the main points of the agreement which "is largely inspired by a concern for a fair distribution of the associated benefits, both socially and geographically". In this way, it was not a matter of consent or consultation, but of providing information about a signed agreement, which violates our fundamental rights with this irrelevant reference to "profits". Furthermore, our abstention was as clear as our constant positions. Under these circumstances, and bearing in mind all the difficulty surrounding this issue and the current challenges, I must convey to you that I regret these statements questioning our Movement, statements that seem to be somehow contaminated by controversy. As far as it is concerned, the Frente POLISARIO maintains the highest esteem towards the European institutions, and stands ready for a dialogue that is in line with the expectations of our People, the respect for the Court decisions and the challenges and constraints that the European institutions have to deal with.